I know I ranted on my previous post, and I thank you for reading. It's Friday and I'm starting to feel myself again. I also found a new love. 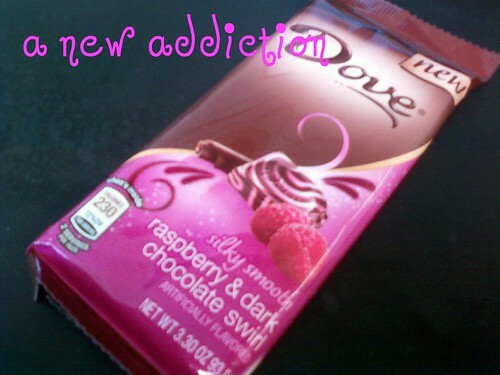 I've always been a milk chocolate person, but with this new Dove raspberry and dark chocolate swirl, I won't hesitate to indulge with this dark new love from time to time. Raspberry swirls are oh-so-lovely and delish. What's your new love these days? A wonderful weekend to all. I've always been curious about Dove chocolate bars, but never gotten around to getting one. Maybe I should now. Yummyness, mukhang maiinlove din ako sa ganyan, makahanap nga ng ganyan dito. From afar, the chocolate package looks like the Galaxy brand. I have yet to see that brand on the supermarket shelves, and if I see one, I'll surely grab a piece. I'm always dark chocolate person. 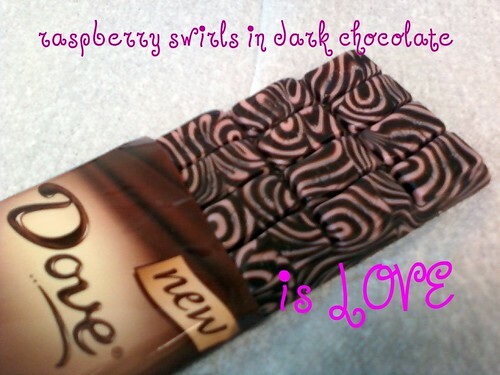 Dark chocolate and raspberry sounds delish. I am amused at the folks in the Philippines confusing Dove chocolate with Dove soap, which is understandable, but they are missing on this chocolate treat! Haven't tried this flavor, so thanks for the tip!